Ladies and gentlemen, the polls have opened for the News & Observer’s Ugly Sweater Contest. There are some truly ugly entries, but there’s only one clear choice. Here’s why. 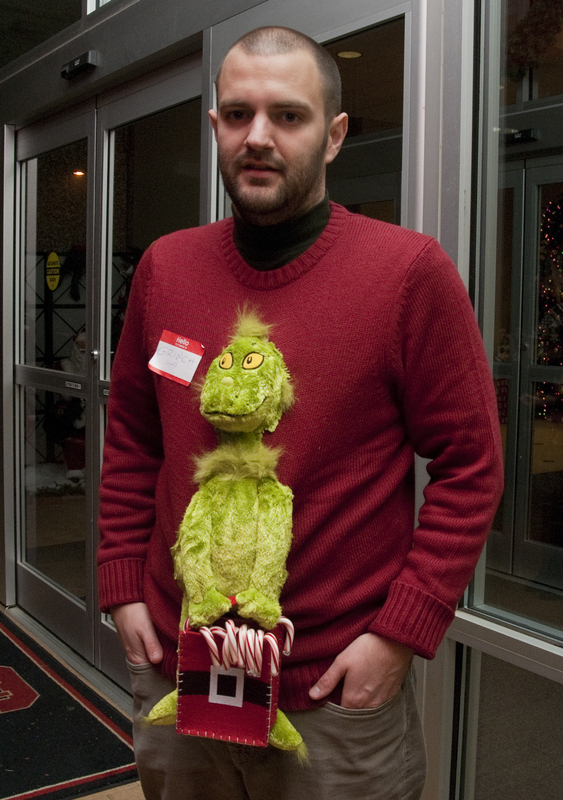 If my Grinch sweater is the winner, I will donate the prize (a $50 Visa gift card) to the Food Bank of Central & Eastern North Carolina. Before you can vote, you must register as a user on the N&O’s site. I realize this might seem like a inconvenience, but think about it: two minutes of your time could benefit a worthy charity. So please, register and vote now! 1. Go here to register. 2. Check your e-mail and confirm your registration. 3. Go here, log in, ignore the other sweaters, and vote for me! My entry is titled, “You’re an ugly one, Mr. Grinch.” It’s on the bottom right. And if you’d like to give three minutes of your time, please, by all means, spread the news about this contest via word of mouth, e-mail, Facebook, Twitter, bullhorn, etc. However you spread the news, spread it fast. The polls close on Thursday (supposedly).